As a child, RACHEL HARTMAN played cello and lip-synched Mozart operas with her sisters. The famous Renaissance song "Mille Regretz" first moved Rachel to write a fantasy novel rooted in music, but her inspiration didn't end there. 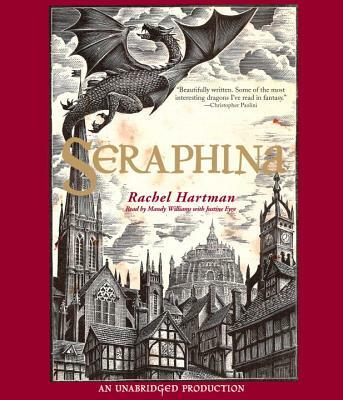 She wrote Seraphina while listening to medieval Italian polyphony, Breton bagpipe-rock, prog metal, Latin American baroque, and Irish sean nós. Rachel Hartman lives with her family in Vancouver BC.